This is my first post here, just like to share my experience so more people can benefit the result. Some background: I wanna use my 15" 2016 MBP playing VR game. After some research, I found out I need the eGPU for more video processing power. 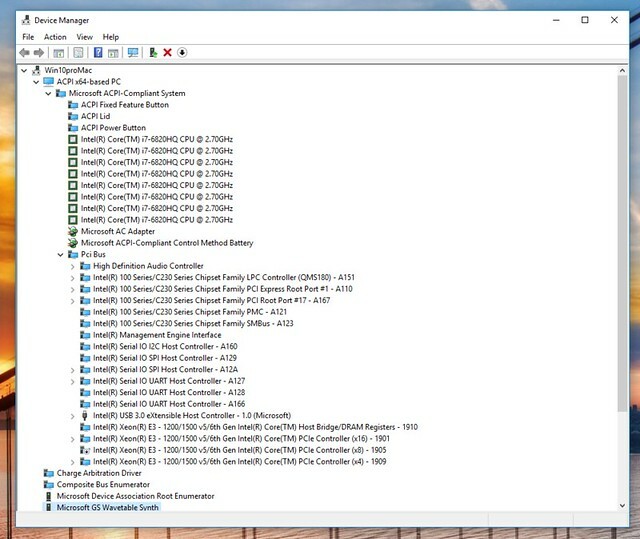 After googling around I found this website and read some guide on bootcamp win10 + eGPU possibility. 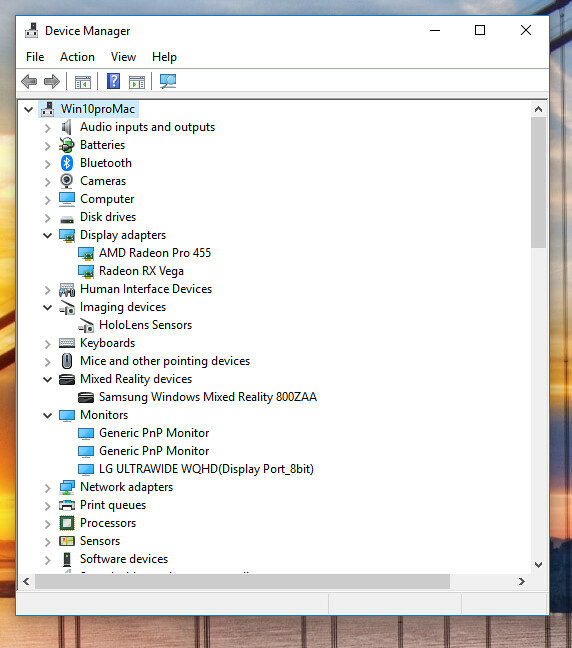 The following is my experience, I didn't use any complicated boot profile, no extra bat file to run, didn't turn off dGPU either as I'm using external monitor. 2) After some research, I bought the Akitio Node Pro. It's built quality is top notched, outside color is close to my space gray MBP. 3) For video card, thx for the Bitcoin mania, no way am I able to buy a $700 Nvidia or AMD card anywhere. I finally bought a used AMD VEGA 64 from ebay for $600, good deal right? 4) Put everything together and disabled one of the TB PCI bus 1905, connect the Akitio on the right side MBP TB port, Done! I was going to upload some pics on the setup, but didn't find a way here! Will try some flickr link later. 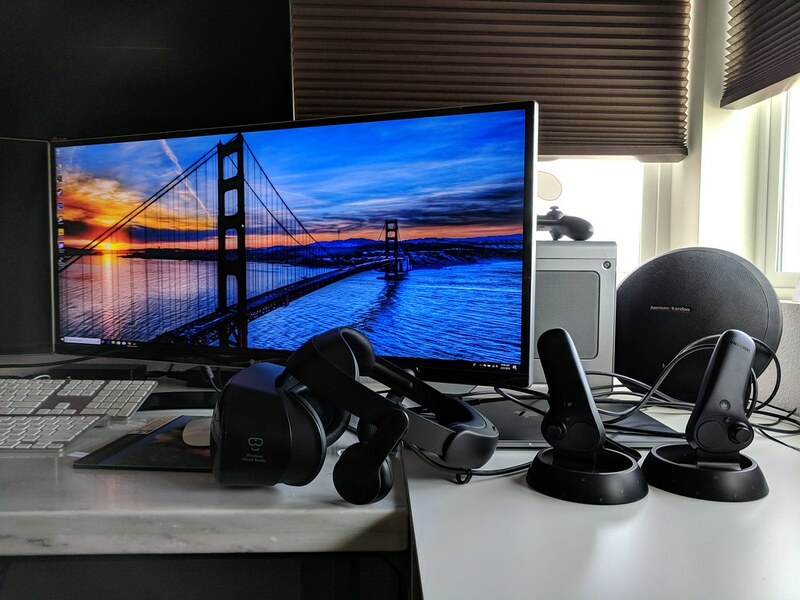 BTW, I'm using the Samsung Odyssey, the experience is fantastic! @bxz, now 3 months later, how fast, smooth and stable is the Akitio Node Pro as a Vega 64 eGPU in your experience? Please share!! not one shut down so far, runs very good, i play war thunder mostly in max video quality. @mcbanjo I just bought the same card and was considering the Node Pro. I was also concerned about the 500W. Have you had any problems with your build so far? thanks! Yeh it seems to be working fine. It’s certainly not cutting out due to excessive power draw. I’m currently investigating an issue where my Mac is not waking from sleep properly or as easily/simply as I would like when it’s in clamshell mode. It will eventually wake but only after opening the lid and turning on the MacBook manually. I’m thinking it might be causing an incompatibility or crash somewhere. Also the fans seems to spin up and down when in standby. Not sure if it’s a PSU issue or just a Mac compatibility issue with the Node Pro. I’m going to try a new PSU anyways.